What a joy. 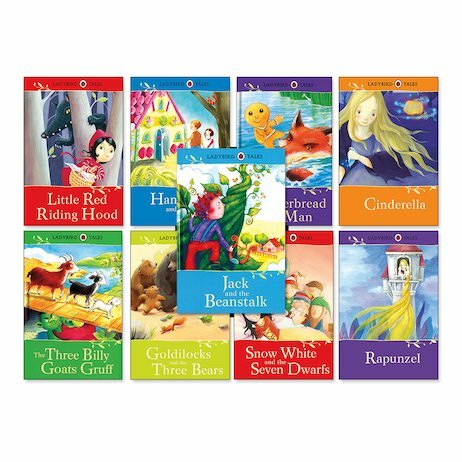 Vivid new pictures refresh the original Ladybird fairy tales that small people like you have enjoyed for over forty years. A wholesome family staple, like Hovis bread and OXO. And just as tasty and cosy to share at your family table. Timeless, magical stories. Rich, bright colour pictures. Sturdy hardback covers that last for ages. Plus easy text that you can read alone or share. Simply the perfect package for little ones. No wonder these classics never go out of style.